stores for quality and price. 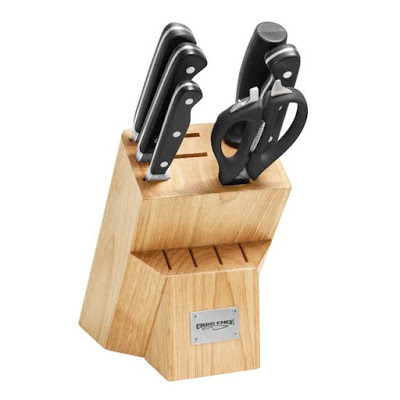 years of age will have the chance to win one of these amazing knife sets. Always use Wood, Bamboo or Plastic cutting boards with the knives – NEVER USE GLASS, CORIAN, STEEL or HARD COUNTER TOPS when cutting food as this will dull the knives & damage the edge. Professionally Sharpen the knives every 1-2 years depending on use and edge condition – You can use our sharpening service to get that like new edge back on the blades. Next post: The Perfect Umbrella is Here!